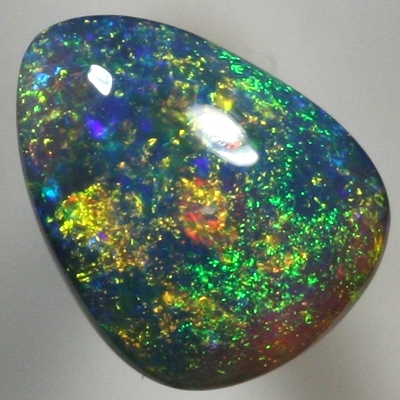 This is a stunning opal, capturing some lovely deep and rich shades of copper orange, green and blue in a Pinfire pattern. From strong copper orange to dark green to a light green and blue. These fire colours show all of the time. The play-of-colour is constant and sparkles bright even in low light.